I am excited to be participating in today’s Release Day Blitz of Phoenix Awakens by Eliza Nolan hosted by YA Bound Book Tours! I have an awesome exclusive excerpt, author interview and a GIVEAWAY!! I rush down the wooded path as fast as I can. My legs throb and my lungs burn as I push forward through the night. I should be heading in the other direction, away from danger, but my survival instinct is overpowered by an even deeper need. A need so primal I can’t name it; I only feel its pull and have to obey. A man’s yell cuts through the forest. I race even faster towards the bloodcurdling sound. But when I get there, it’s too late. I hide behind a tree at the edge of the clearing. Light from a bonfire illuminates a group of men in hooded cloaks. At their feet kneels a teenage boy. He’s wearing jeans and nothing else. Blood drips down his chest from fresh cuts. One of the men stands over him, a bloody knife in his hand. The boy wavers on his knees and collapses to the ground. The others move away, leaving him where he lies, motionless. The shuffle of their feet fades as they head towards the swamp. The only sound left is the racing thump, thump of my heart, so loud I’m sure all the creatures in the forest can hear. I tiptoe out into the clearing and, seeing no one else, rush over to the guy. Still breathing, he is curled up in a ball on the ground. His body is covered in a mixture of dirt and his own blood. So much blood! He turns to face me and I startle when I recognize him. My hands shake as I reach out to him. I brush his shoulder with my fingertips and sharp pain shoots through them and up my arm. It’s like a million pin pricks at once. I jerk my hand away, crying out. I grew up reading Stephen King. I love his books. But I didn’t start writing until I read Twilight. Stephanie Meyer’s story really clicked with me. I found myself wishing I’d had something like that to read when I was in high school. Swoony paranormal guys? Yes please! In October of 2009 I heard about International Novel Writing Month (every November). I’d just finished reading the Twilight series and thought writing a novel sounded like fun. The book I started writing that November was the very rough first draft of Phoenix Awakens. Shortly after I finished the first draft, I realized I wanted to make writing more than just a hobby. I’ve spent the last several years working on my craft. Since Phoenix Awakens was my first, I had to learn how to write. Seriously, my first draft was so awful that I wouldn’t even show it to my cat. It’s always changing; no two books write the same. I had no idea how Phoenix Awakens was going to end when I started writing it. Since then I’ve done a bit more work with outlines. Each story has its own process. The trick for me is to figure out what the process is for each story, and then go through that process so that I can find the story and share it. I’ve written three full-length books, and have two partially written. 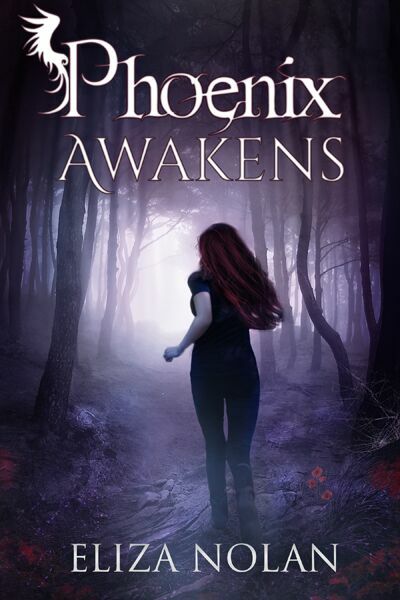 I know I should say they are all my children and I love them equally–I actually do really love all my stories a ton–but my favorite is Phoenix Awakens. It’s always been my baby, and I’m insanely excited to finally share it! No way. I’ve had some ups and downs, but the story is what it is because of those ups and downs. I wouldn’t change a thing. I would like to write more in the Phoenix series. I also have a contemporary young adult in draft form, and a post-apocalyptic story. I’ve always got a few things going.